El Chorro/Desfiladero de los Gaitanes, Malaga - Andalusia, Spain. Sevilla online ES · El Chorro/Desfiladero de los Gaitanes, Malaga - Andalusia, Spain. El chorro o Desfiladero de los Gaitanes. The 2,016 hectares protected by Desfiladero de los Gaitanes Beauty Spot are located in the interior of the Subbetica mountain range, and create a spectacular landscape. 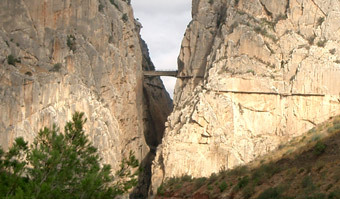 They include an impressive gorge through which the River Guadalhorce flows, between enormous slabs of stratified limestone. It is considered to be of immense ecological importance. Its walls, which are up to 400 metres high, are home to a variety of plant and animal life, a clear example of adaptation to a vertical way of living. 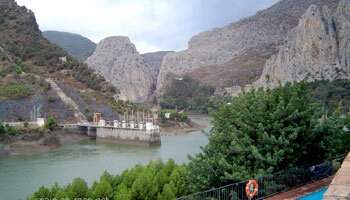 El Chorro is one of the most famous rock climbing areas in Europe. 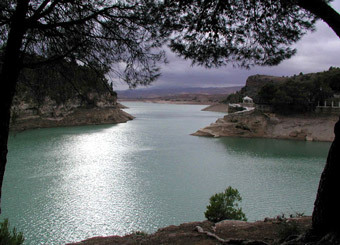 With more than 500 bolted climbing routes in an area accessible on foot El Chorro is an El Dorado for climbers. Because of its location in the south of Spain rock climbing is possible throughout the winter even though it can sometimes be cold and there may even be snow. 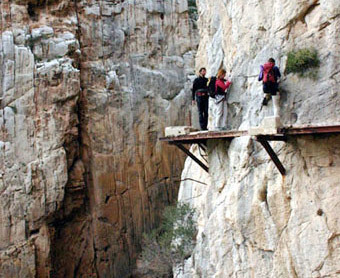 The routes are mostly hard climbs, which is why El Chorro attracts rock climbers from the whole world. 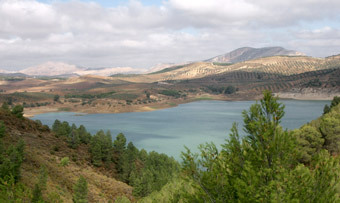 The “Desfiladero de los Gaitanes” is located in a region in the western part of the “Cordillera Bética” mountain range. In its entirety the gorge is over 3km long and in certain places is dominated by rock faces over 300m tall and less than 10m wide. It is hollowed out into Jurassic dolomites and limestone. Indeed rock formations from the Miocene era can also be found in the area. The most spectacular morphological feature is the vertical stratification of the limestone as fashioned by the river running through it. There are around twenty hollows in the area of the Desfiladero de los Gaitanes some of which are many metres above the flow of the river. The Desfiladero has been gradually deepened by the river in successive stages. Find your hotel near El Chorro now!